As you may have surmised from the previous couple posts, we did not have the best mental state going into the last 1/3 of our Appalachian Trail thru hike. Our feet hurt, we had less then spectacular scenery and to be perfectly honest we simply were not having fun anymore. We had just spent two days in town in complete bed rest and after four days of hiking it seemed like the down time didn’t help to rejuvenate us in the slightest. Every time we took a zero day it seemed pointless, ineffective and even worse, a waste of time. Walking for a week and taking two days off had proven fruitless twice now, and doing the same thing repeatedly and expecting a different result is often referred to as the definition as insanity. We knew that our current method of getting to Maine by foot wasn’t working. We also knew that the last thing either of us wanted was to quit the trail. 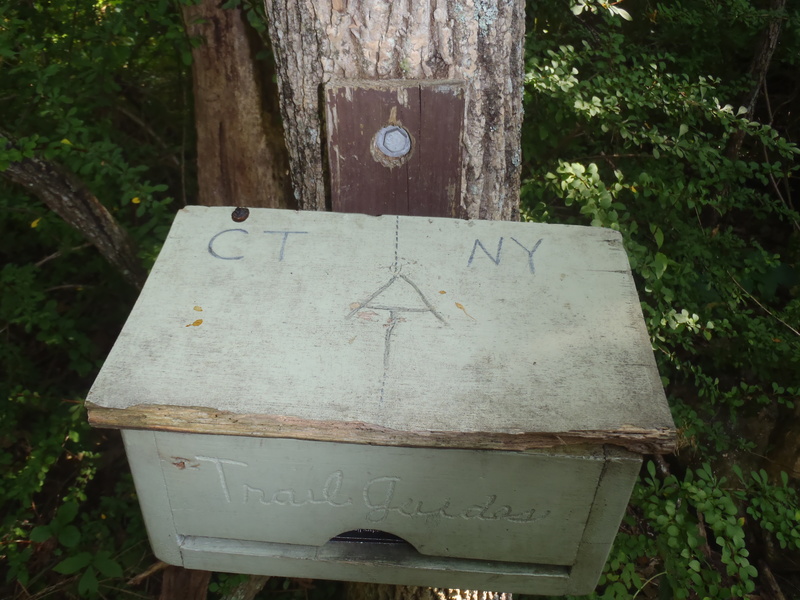 We knew that our bodies and minds were beaten down and probably the worst of all, hiking the Appalachian Trail stopped being fun for about 200 miles. If fortune favors the bold then the time had come to think outside the box but still get our butts to Maine! That brings us to the “Slackpack”. Slackpacking is a term that refers to a day hike instead of backpacking while on a long distance hike. Rather than carrying a fully loaded pack, “slacking” is when one carries a light day pack full of snacks, water, a rain jacket and gets picked up by a car at the end of the day. A lot of thru-hikers slackpacked some of the more mountainous sections of the Southern Appalachians, paying approximately $20 for this service that most any hostel or outfitter along the trail offers. Up until Greenwood Lakes, NY Lindsay and I only had one slackpack day which a friend of ours graciously offered us while we were staying two nights at their house. That one experience showed us how different it is to walk 20 miles with a 40lbs pack versus a 7lbs day bag. We had run into a few folks slackpacking themselves through parts of Pennsylvania in teams of two or three with a rental car; dropping one person off on the south end and driving the car to the northern end of a 20 mile section and then swapping keys off somewhere in the middle of the hike. With one person going north and the other going south everyone involved still hikes the full distance of the Appalachian trail but instead of finishing at a camp site you finish in a parking lot and either drive to go pick up the partner at the end of the day or sit on the side of the road waiting for your ride. This system takes out the need for an expensive car shuttle and still gives the body a “restful” day of hiking. “Why can’t we do that?”, we thought to ourselves. Turtle Slackpacking away in Massachusetts! We had no good reason not to, so we did! After getting to a family member’s house in New York we grabbed a one way car rental and sped off towards Andover (with Turtle in the back) seat to pick up our car. After a night of sleeping in our own bed and eating mom’s home cooking we headed back south in the Jetta to pick up where we left off, in Greenwood Lakes, NY. Over the next 12 days we managed to slack pack 230 miles of the Appalachian Trail without a day off and ending up feeling fresher than we did at the start. The logistics of moving the car every day, finding places to camp next to parking lots, and passing off keys at the halfway point without missing each other complicated our fairly simple hiker’s life. Nonetheless, the benefits of our slackpack far outweighed the obstacles we had to overcome and we had zero regrets as we finished our section in Bennington, Vermont. 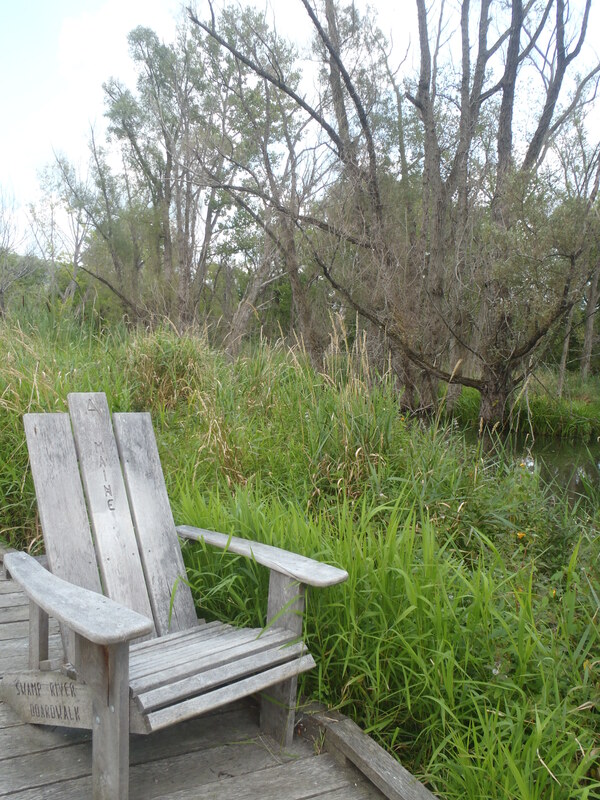 Some nice seats on a boardwalk in New York… the things you find on the AT! We even had a few surprise experiences during the two weeks that turned out to be just as valuable as the rest for our bodies; the greatest one was actually being able to see the areas we were going through that we would normally miss by hiking! 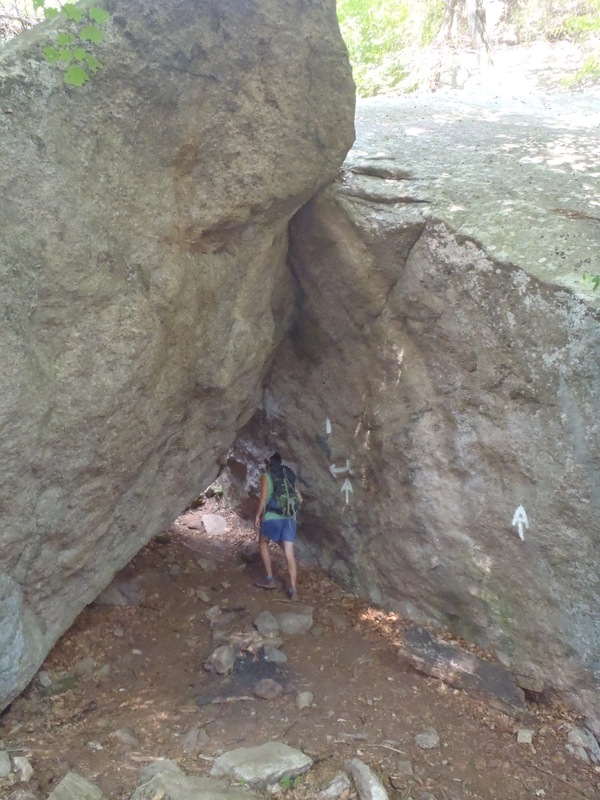 We often joke about walking in “the green tunnel” but in reality hiking the AT is like being a horse with blinders on, and unless you make a point of getting off and resupplying in a specific town you just walk right on past the turnoff. For the first time on the trail we were able to see all of the towns and surrounding communities that the AT goes near because of the necessity to drive to-and-from trail heads. 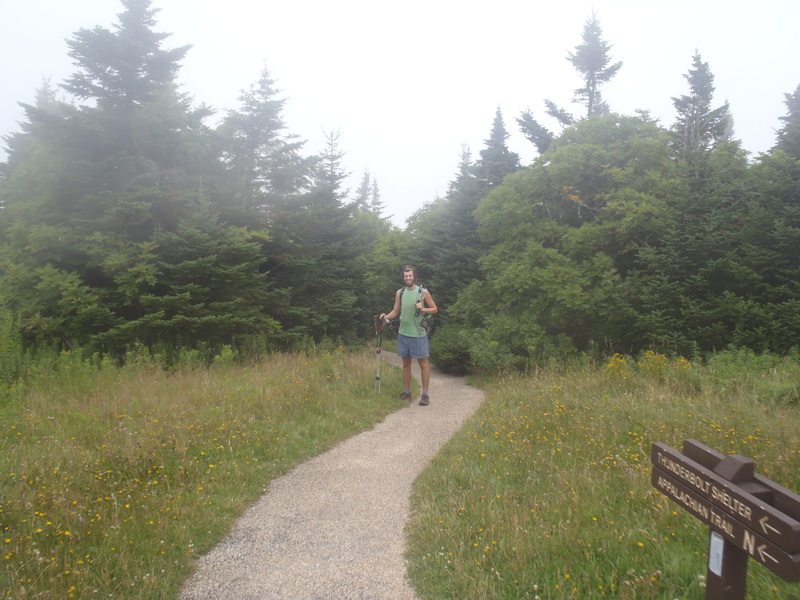 As silly as it sounds, being able to see more than just the trail gave Lindsay and I a much more rounded Appalachian Trail experience. We could see the cute New England towns that the book talked about, would comment on the old farm houses, and could even make a small detour to something we wanted to see without it costing us two hours of walking! We didn’t live lavishly during this time, still eating only what we could cook in camp and sleeping in a tent at night, but for the first time we could experience more than just the trail, which for us was a much needed change of pace. We made it into New England… finally! Hey, guys. 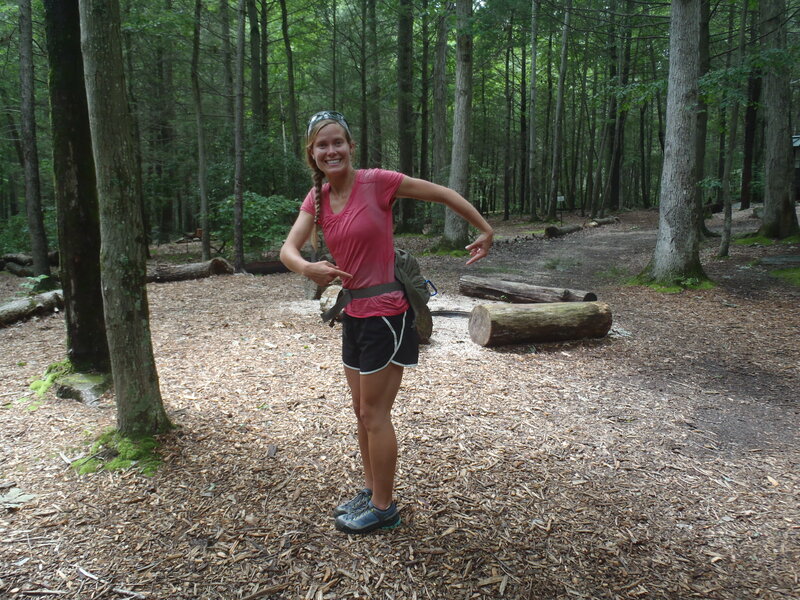 You might remember that I was a slackpacker several times during my month on the AT. I have always believed slackpacking is a great way to enable you to hike every day, enjoy your surroundings even more, and still cover every step of the trail. Is the experience more “real” if you carry 40 lb instead of 25? It’s not about the pack. We couldn’t agree more. We had mostly positive of the feedback we had while on our slackpack, but there are always outliers. Lindsay and I both are very happy that we ended up doing the hike the way we have, it got us through some miles quickly, broke up the monotony and made the hike something we enjoyed doing again.